1 University of Siena, Department of Information Engineering and Mathematics, Siena, 53100, Italy;2 University of Siena, Complex Systems Community, Siena, 53100, Italy; 3 Berenson-Allen Center for Non-Invasive Brain Stimulation, Beth Israel Deaconess Medical Center, Harvard Medical School, Boston, MA, USA; 4 University of Siena, Siena Brain Investigation & Neuromodulation Laboratory, Department of Medicine, Surgery and Neuroscience, Neurology and Clinical Neurophysiology Section, Siena, 53100, Italy. Our brain is a complex system of interconnected regions spontaneously organized into distinct networks. The integration of information between and within these networks is a continuous process that can be observed even when the brain is at rest, i.e. not engaged in any particular task. Moreover, such spontaneous dynamics show predictive value over individual cognitive profile and constitute a potential marker in neurological and psychiatric conditions, making its understanding of fundamental importance in modern neuroscience. Here we present a theoretical and mathematical model based on an extension of evolutionary game theory on networks (EGN), able to capture brain’s interregional dynamics by balancing emulative and non-emulative attitudes among brain regions. This results in the net behavior of nodes composing resting-state networks identified using functional magnetic resonance imaging (fMRI), determining their moment-to-moment level of activation and inhibition as expressed by positive and negative shifts in BOLD fMRI signal. 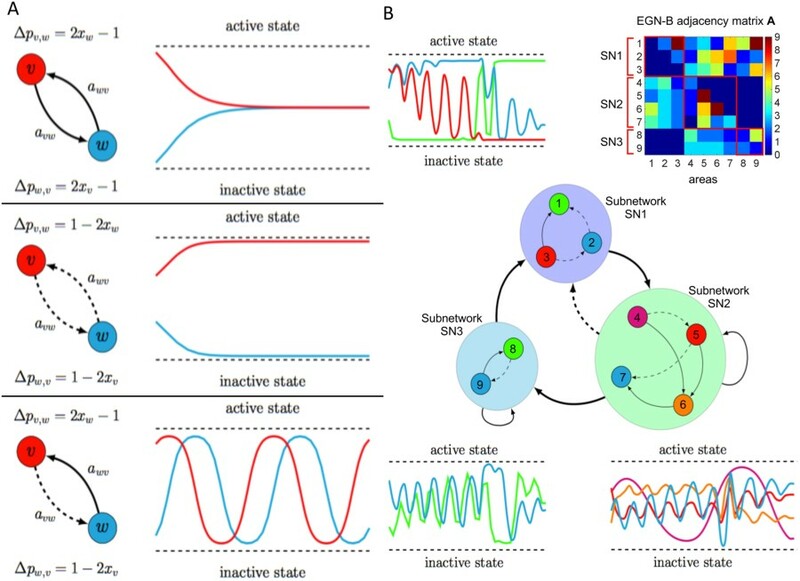 By spontaneously generating low-frequency oscillatory behaviors, the EGN model is able to mimic functional connectivity dynamics, approximate fMRI time series on the basis of initial subset of available data, as well as simulate the impact of network lesions and provide evidence of compensation mechanisms across networks. Results suggest evolutionary game theory on networks as a new potential framework for the understanding of human brain network dynamics. 1 Machine Learning Group, Fraunhofer Heinrich Hertz Institute, 10587 Berlin, Germany; 2 Machine Learning Group, Technische Universität Berlin, 10587 Berlin, Germany; 3 Advanced Telecommunication Research Institute International, 619-0288 Kyoto, Japan; 4 Department of Brain and Cognitive Engineering, Korea University, Seoul 136-713, Republic of Korea; 5 Max Planck Institute for Informatics, 66123 Saarbrücken, Germany. Objective. The reliable estimation of parameters such as mean or covariance matrix from noisy and high-dimensional observations is a prerequisite for successful application of signal processing and machine learning algorithms in brain–computer interfacing (BCI). This challenging task becomes significantly more difficult if the data set contains outliers, e.g. due to subject movements, eye blinks or loose electrodes, as they may heavily bias the estimation and the subsequent statistical analysis. Although various robust estimators have been developed to tackle the outlier problem, they ignore important structural information in the data and thus may not be optimal. Typical structural elements in BCI data are the trials consisting of a few hundred EEG samples and indicating the start and end of a task. Approach. This work discusses the parameter estimation problem in BCI and introduces a novel hierarchical view on robustness which naturally comprises different types of outlierness occurring in structured data. Furthermore, the class of minimum divergence estimators is reviewed and a robust mean and covariance estimator for structured data is derived and evaluated with simulations and on a benchmark data set. Main results. The results show that state-of-the-art BCI algorithms benefit from robustly estimated parameters. Significance. Since parameter estimation is an integral part of various machine learning algorithms, the presented techniques are applicable to many problems beyond BCI. 1 Università degli Studi di Brescia, DIMI Department of Mechanical and Industrial Engineering, Brescia, 25123, Italy; 2 Università degli Studi di Brescia, DICATAM, Department of Civil, Environmental, Architectural Engineering and Mathematics, Brescia, 25123, Italy; 3 Laboratory for Preventive and Personalized Medicine (MPP Lab), Università degli Studi di Brescia, Brescia, 25123, Italy; 4 Università degli Studi di Brescia, DMMT, Department of Molecular and Translational Medicine, Brescia, 25123, Italy. Vascular Endothelial Growth Factor Receptor-2 (VEGFR2) is a pro-angiogenic receptor, expressed on endothelial cells (ECs). Although biochemical pathways that follow the VEGFR2 activation are well established, knowledge about the dynamics of receptors on the plasma membrane remains limited. 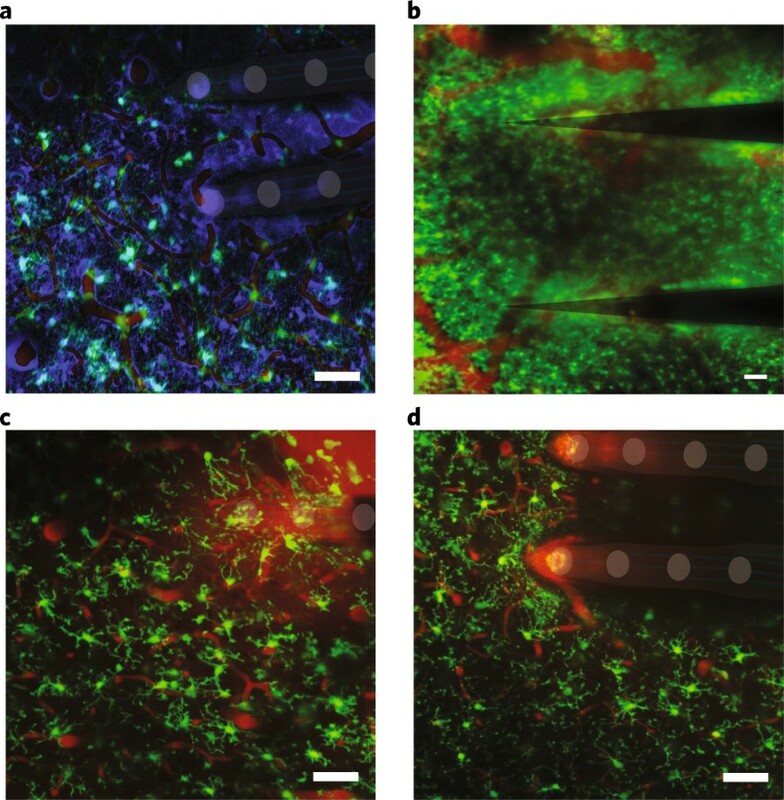 Ligand stimulation induces the polarization of ECs and the relocation of VEGFR2, either in cell protrusions or in the basal aspect in cells plated on ligand-enriched extracellular matrix (ECM). We develop a mathematical model in order to simulate the relocation of VEGFR2 on the cell membrane during the mechanical adhesion of cells onto a ligand-enriched substrate. Co-designing the in vitro experiments with the simulations allows identifying three phases of the receptor dynamics, which are controlled respectively by the high chemical reaction rate, by the mechanical deformation rate, and by the diffusion of free receptors on the membrane. The identification of the laws that regulate receptor polarization opens new perspectives toward developing innovative anti-angiogenic strategies through the modulation of EC activation. 1 Department of Ophthalmology, Rostock University Medical Center, Rostock, Germany; 2 Institute for Biomedical Engineering, Rostock University Medical Center, Rostock, Germany; 3 Core Facility Multimodal Small Animal Imaging, Rostock University Medical Center, Rostock, Germany; 4 Institute for Anatomy, Rostock University Medical Center, Rostock, Germany. Local drug delivery systems (DDS) have become a favourable approach for the treatment of numerous diseases. 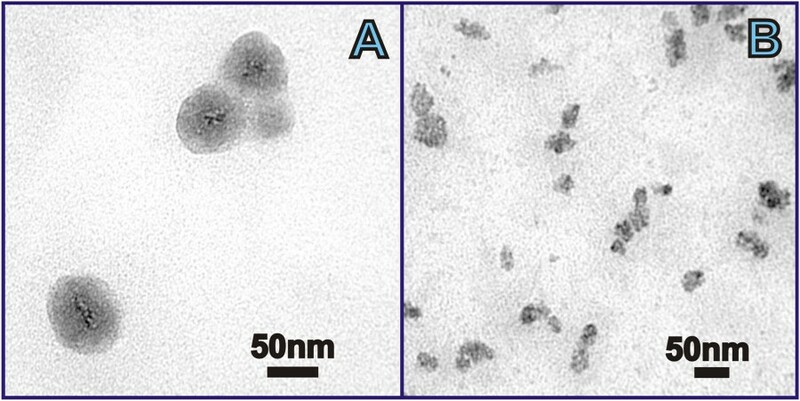 Biomedical imaging techniques such as ultrahigh field magnetic resonance imaging (UHF-MRI) offer unique insight into DDS biodegradation in vivo. We describe the establishment of a 7 Tesla MRI routine for longitudinal in vivo examinations of a subconjunctival DDS for the treatment of glaucoma in a rabbit model. In initial in vitro examinations the T2-relaxation times of the polymeric DDS components were assessed. 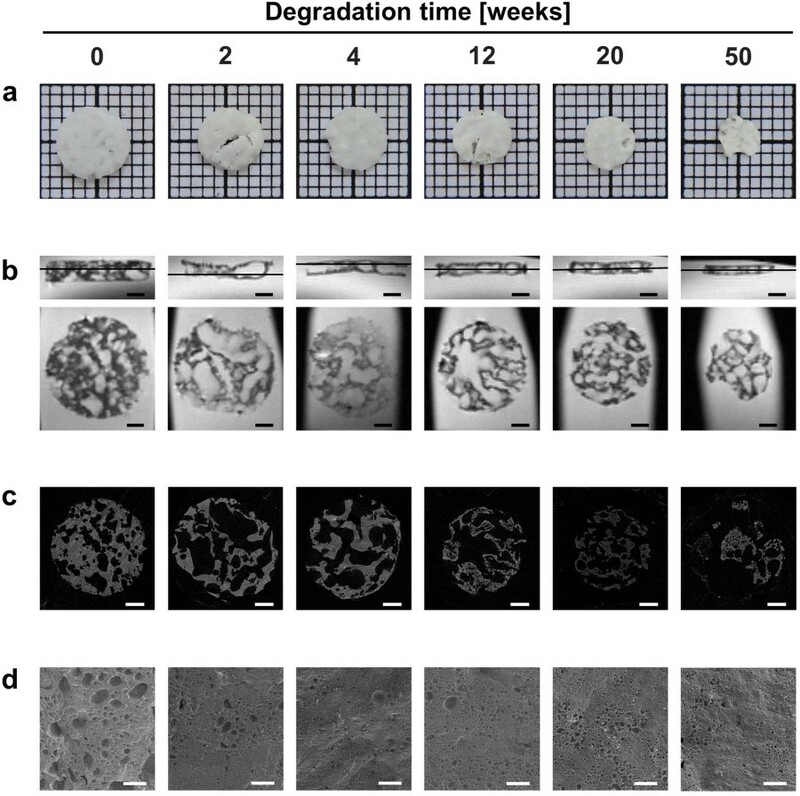 Imaging of enzymatically degraded depot samples in vitro did not reveal changes in sample morphology or T2-relaxation time. Ex vivo investigations with an enucleated porcine eye showed good correlation of anatomical MRI and histological data. In longitudinal in vivo studies in rabbits, we repeatedly scanned the depot in the same animal over the course of 5 months with an in-plane resolution of 130 µm at scan times of less than 30 minutes. The degradation was quantified using volumetric analysis showing a volume reduction of 82% between 3 and 21 weeks after depot implantation. We have thereby demonstrated the feasibility of our UHF-MRI protocol as a non-invasive imaging routine for qualitative and quantitative, longitudinal evaluation of biodegradable subconjunctival DDS. 1 Center for Public Health Genomics, Robert M. Berne Cardiovascular Research Center, University of Virginia, Charlottesville, VA, USA; 2 Daniel Baugh Institute for Functional Genomics and Computational Biology, Department of Pathology, Anatomy, and Cell Biology, Sidney Kimmel Medical College, Thomas Jefferson University, Philadelphia, PA, USA. Multiple physiological systems interact throughout the development of a complex disease. Knowledge of the dynamics and connectivity of interactions across physiological systems could facilitate the prevention or mitigation of organ damage underlying complex diseases, many of which are currently refractory to available therapeutics (e.g., hypertension). We studied the regulatory interactions operating within and across organs throughout disease development by integrating in vivo analysis of gene expression dynamics with a reverse engineering approach to infer data-driven dynamic network models of multi-organ gene regulatory influences. We obtained experimental data on the expression of 22 genes across five organs, over a time span that encompassed the development of autonomic nervous system dysfunction and hypertension. We pursued a unique approach for identification of continuous-time models that jointly described the dynamics and structure of multi-organ networks by estimating a sparse subset of ∼12,000 possible gene regulatory interactions. Our analyses revealed that an autonomic dysfunction-specific multi-organ sequence of gene expression activation patterns was associated with a distinct gene regulatory network. We analyzed the model structures for adaptation motifs, and identified disease-specific network motifs involving genes that exhibited aberrant temporal dynamics. Bioinformatic analyses identified disease-specific single nucleotide variants within or near transcription factor binding sites upstream of key genes implicated in maintaining physiological homeostasis. Our approach illustrates a novel framework for investigating the pathogenesis through model-based analysis of multi-organ system dynamics and network properties. Our results yielded novel candidate molecular targets driving the development of cardiovascular disease, metabolic syndrome, and immune dysfunction. 1 Department of Biomedical Engineering, Michigan State University, East Lansing, MI, USA; 2 Institute for Quantitative Health Science and Engineering, Michigan State University, East Lansing, MI, USA; 3 Department of Neurologic Surgery, Mayo Clinic, Rochester, MN, USA; 4 Department of Bioengineering, University of Pittsburgh, Pittsburgh, PA, USA; 5 Center for the Neural Basis of Cognition, University of Pittsburgh, Pittsburgh, PA, USA; 6 McGowan Institute of Regenerative Medicine, University of Pittsburgh, Pittsburgh, PA, USA; 7 Neurotech Center, University of Pittsburgh Brain Institute, Pittsburgh, PA, USA; 8 Department of Electrical and Computer Engineering, Michigan State University, East Lansing, MI, USA, 9 Neuroscience Program, Michigan State University, East Lansing, MI, USA. The use of implants that can electrically stimulate or record electrophysiological or neurochemical activity in nervous tissue is rapidly expanding. Despite remarkable results in clinical studies and increasing market approvals, the mechanisms underlying the therapeutic effects of neuroprosthetic and neuromodulation devices, as well as their side effects and reasons for their failure, remain poorly understood. A major assumption has been that the signal-generating neurons are the only important target cells of neural-interface technologies. However, recent evidence indicates that the supporting glial cells remodel the structure and function of neuronal networks and are an effector of stimulation-based therapy. Here, we reframe the traditional view of glia as a passive barrier, and discuss their role as an active determinant of the outcomes of device implantation. We also discuss the implications that this has on the development of bioelectronic medical devices. There are more connections between neurons in the human brain than there are stars in our galaxy1, and there are at least a dozen specific neuronal subtypes in the brain that are recognized as unique on the basis of their distinctive functional and morphological characteristics2,3. There is also growing recognition that non-neuronal supporting cells are more diverse and dynamic than previously appreciated, with distinct classes and subclasses of glia actively shaping the structure and function of neural circuitry4. Although such complexity is a likely requisite for the ability to internalize, integrate and respond to the continuous streams of information that the brain must process, it also makes the effective treatment of neurological disorders especially challenging. In recent years, the development and design of new implantable-device technologies to read-out and write-in electrical and chemical signals to and from the nervous system have created unprecedented opportunities to understand normal brain function and to ameliorate dysfunction resulting from disease or injury. Although research and clinical applications of implanted electrode arrays continue to experience rapid growth, their usage has outpaced the clear understanding of the mechanisms underlying their benefits, side effects and modes of failure. Originally a precision academic-research tool to measure and modulate neural circuitry at subsecond and submillimetre resolution, implanted electrode arrays have increasingly been used in the clinic to treat an expanding array of medical conditions. Reports in the late 1980s and early 1990s demonstrated compelling preliminary clinical efficacy of deep brain stimulation (DBS) for tremor as a safer alternative to thalamotomy or pallidotomy in medically intractable Parkinson’s disease5. Although the mechanisms underlying its benefits remain the subject of debate6, DBS has since been approved by the US Food and Drug Administration for Parkinson’s disease, essential tremor, obsessive compulsive disorder, dystonia and refractory epilepsy5. Therapeutic indications currently being pursued in clinical studies are rapidly expanding, and include Alzheimer’s disease, depression, Tourette’s syndrome, deafness, blindness, and strategies to promote plasticity in cases of severe stroke or tinnitus6. Electrophysiological and neurochemical recordings have gained traction as a diagnostic tool, as an enabling technology for brain/machine interfaces in paralysis patients and as biomarkers to inform strategies for closed-loop stimulation devices7. The successful use of chronically implanted neuroprostheses is predicated on the ability to reliably modulate or record signals from surrounding neurons over time (preferably, for many years). This is true for the broad range of clinical and research applications pursued, and for the variety of methods of read-out or write-in of neural activity employed (such as optical or electrical)8. However, problems arising from small signal amplitudes and from signal instability plague implanted recording arrays, limiting their long-term function9,10,11,12,13. Signal amplitudes typically shift on a daily basis14, compromising the likelihood that spike detection crosses the required threshold. This can, in turn, affect apparent firing rates, contributing to the non-stationarity that burdens the use of these signals for prosthetic control13. Studies across animal models often report progressive losses in signal detection in the weeks following implantation14,15. In recordings taken from human subjects, significant changes in unit amplitudes were observed on an intraday basis13. Many of these shifts seem to be related to device micromotion (based on simultaneous effects observed across electrode sites)13, but the vast majority were attributed to a physiological origin (85%). Likewise, in applications that stimulate the central nervous system, desensitization can occur following chronic microstimulation, and inexplicably large placebo effects can follow implantation of non-functional devices16,17. A variety of factors, both biological and non-biological, have been proposed to contribute to observations of instability in neural recordings and to the variable thresholds of neurostimulation10,18. Among these, suboptimal biocompatibility and suboptimal integration with surrounding tissue remains a significant limitation to reliably transfer information to and from the brain through implanted electrode arrays. 1Institute of Problems of Mechanical Engineering, Russian Academy of Sciences, 199178 Saint Petersburg, Russia; 2Institut Camille Jordan, UMR 5208 CNRS, University Lyon 1, 69622 Villeurbanne, France. 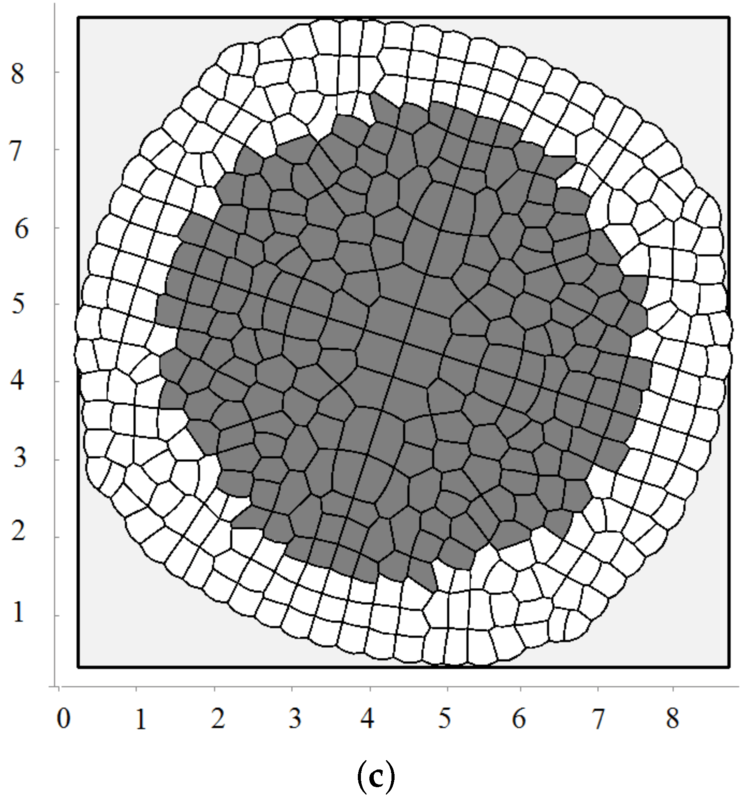 This paper is devoted to modelling tissue growth with a deformable cell model. Each cell represents a polygon with particles located at its vertices. Stretching, bending and pressure forces act on particles and determine their displacement. Pressure-dependent cell proliferation is considered. Various patterns of growing tissue are observed. An application of the model to tissue regeneration is illustrated. Approximate analytical models of tissue growth are developed. 1 Department of Organismic and Evolutionary Biology, Harvard University, Cambridge, Massachusetts 02138, USA; 2 FAS Center for Systems Biology, Harvard University, Cambridge, Massachusetts 02138, USA; 3 Department of Physics, Harvard University, Cambridge, Massachusetts 02138, USA; 4 Department of Physics, University of California Berkeley, Berkeley, California 94720, USA; 5 Department of Bioengineering, University of California Berkeley, Berkeley, California 94720, USA; 6 Centre for Geometric Biology, School of Biological Sciences, Monash University, Clayton, Victoria 3800, Australia; 7 Department of Molecular Biosciences, The University of Texas, Austin, Texas 78712, USA; 8 BEACON Center for the Study of Evolution in Action, Michigan State University, East Lansing, Michigan 48824, USA; 9 Department of Microbiology and Molecular Genetics, Michigan State University, East Lansing, Michigan 48824, USA. 1 A. E. Arbuzov Institute of Organic and Physical Chemistry, Kazan Scientific Center of Russian Academy of Sciences, Arbuzov str., 8, 420088, Kazan, Russia; 2 Kazan (Volga region) Federal university, Kremlyovskaya str., 18, 420008, Kazan, Russia; 3 Kazan National Research Technical University, K. Marx str., 10, 420211, Kazan, Russia; 4 Zavoisky Physical -Technical Institute of Kazan Scientific Center of Russian Academy of Sciences, Sibirsky tract, 10/7, 420029, Kazan, Russia; 5 Division of Materials Science, Department of Engineering Sciences and Mathematics, Luleå University of Technology, SE-971 87, Luleå, Sweden. Today, nanostructure-based contrast agents (CA) are emerging in the field of magnetic resonance imaging (MRI). Their sensitivity is reported as greatly improved in comparison to commercially used chelate-based ones. The present work is aimed at revealing the factors governing the efficiency of longitudinal magnetic relaxivity (r1) in aqueous colloids of core-shell Gd(III)-based nanoparticles. We report for the first time on hydration number (q) of gadolinium(III) as a substantial factor in controlling r1 values of polyelectrolyte-stabilized nanoparticles built from water insoluble complexes of Gd(III). The use of specific complex structure enables to reveal the impact of the inner-sphere hydration number on both r1 values for the Gd(III)-based nanoparticles and the photophysical properties of their luminescent Tb(III) and Eu(III) counterparts. The low hydration of TTA-based Gd(III) complexes (q ≈ 1) agrees well with the poor relaxivity values (r1 = 2.82 mM−1s−1 and r2 = 3.95 mM−1s−1), while these values tend to increase substantially (r1 = 12.41 mM−1s−1, r2 = 14.36 mM−1s−1) for aqueous Gd(III)-based colloids, when macrocyclic 1,3-diketonate is applied as the ligand (q ≈ 3). The regularities obtained in this work are fundamental in understanding the efficiency of MRI probes in the fast growing field of nanoparticulate contrast agents. 1 Boston University, Department of Biomedical Engineering, Boston, 02215, USA; 2 Massachusetts General Hospital, Department of Radiology, Boston, 02114, USA; 3 University of Massachusetts Lowell, Department of Electrical and Computer Engineering, Lowell, 01854, USA; 4 Harvard Medical School, Department of Radiology, Boston, 02115, USA. Amyloid positron emission tomography (PET) imaging is a valuable tool for research and diagnosis in Alzheimer’s disease (AD). Partial volume effects caused by the limited spatial resolution of PET scanners degrades the quantitative accuracy of PET image. In this study, we have applied a method to evaluate the impact of a joint-entropy based partial volume correction (PVC) technique on brain networks learned from a clinical dataset of AV-45 PET image and compare network properties of both uncorrected and corrected image-based brain networks. We also analyzed the region-wise SUVRs of both uncorrected and corrected images. We further performed classification tests on different groups using the same set of algorithms with same parameter settings. PVC has sometimes been avoided due to increased noise sensitivity in image registration and segmentation, however, our results indicate that appropriate PVC may enhance the brain network structure analysis for AD progression and improve classification performance.